I love this article (below) on the secret to a long and happy life… which, to paraphrase the article, is…. To do what you love, or more specifically what brings a sense of meaning and purpose. It seems like a simple equation: Do what makes you happy in order to be happy. But somehow this gets all complicated for us, doesn’t it? Worrying what others will think, how to find what you love, how it all fits with making a living, and all that practical stuff. The article has some good hints and inspiration. They talk about a Japanese philosophy called “ikigai” which loosely translates as sense of purpose, or doing what you love, or following the call of your heart. The article contains some fruitful yet simple questions to ask yourself to help you find your purpose in life. I’ll provide some tips below too. I know what they’re saying is true. But it’s not so simple, is it? “Internal compass,” huh? I’ll explain. That’s one of my favorite topics. Happiness is not all about rainbows. 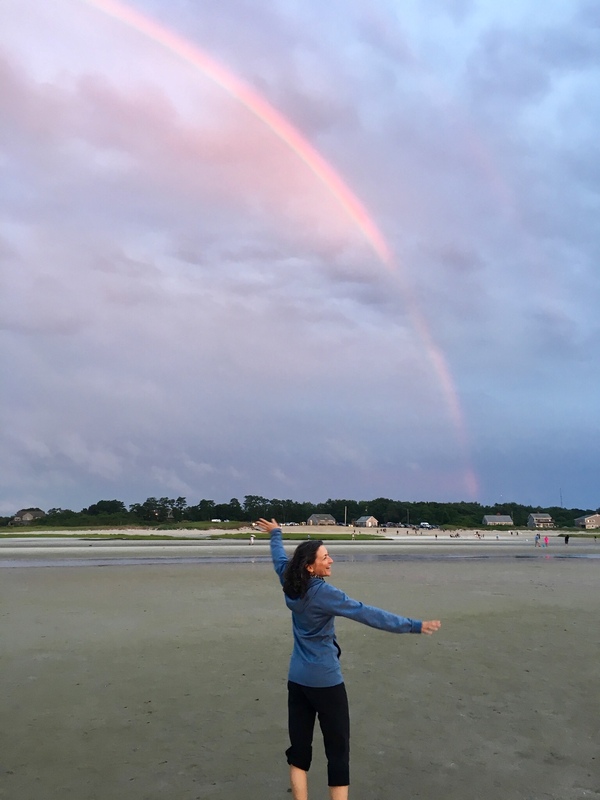 But in this case, a rainbow did make me happy, and I danced with it. For me, following the happiness that appears is so key. Those moments of trusting and following instincts add up. Should I Let Intuition Run My Life? My Business? Intuition is on my mind a lot lately, especially as I was preparing to give a talk about it. I’m remembering how incredibly powerful and important intuition is, so I’m renewing my dedication to follow those wise inner signals. Let’s talk about this resource that’s inside all of us. I’m convinced by my experience, and the research, that our intuition is worth much more of our attention, and worth cultivating further…for happiness and success. And yet, even people who trust their intuition in many areas seem to forget about it or lose trust in it when it comes to decisions related to their livelihood. Survival worries get in the way, gulp. 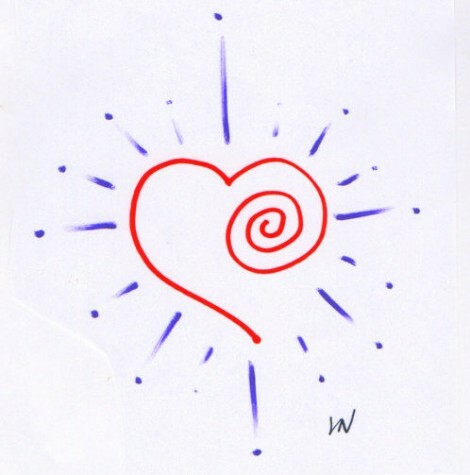 How do we find a balance between using this great inner resource and feeling safe as we move ahead? I’ll explain a little about how it works for me and why I trust it for my business too, but not blindly. I found a safe way to do it. But first a little background so we’re on the same page. You know those success models you think you’re supposed to be following? Like from the loud guy on that marketing webinar that left you hyperventilating? It is almost always from someone trying to sell you their course by using words like “This is THE way or you’re doomed.” Right? I’ve been there, comparing my messy side to those supposed success stories. And comparing my quiet style to those extroverted ways of selling. Their messages can be so compelling! And so paralyzing. Your inner compass knows the way. When I naturally resisted doing it their “expert” way, because it just didn’t feel like me, I found things went much better! Wait, you mean my way, off the beaten path, can actually work for me? It was freaky to me when that first happened, and I didn’t believe it for a while, even after it kept on working. I see in hindsight that doing it my way IS where the gold is! It’s not a fluke, it’s what works for me. Ya gotta tune into your own instincts and your audience’s responses, not someone else’s prescription for you. Your inner compass is better than you think. So much better than you think. How Do You Hear It and Trust It?